Wood fireplace inserts from Nick’s Fireplace Outfitters bring warmth and style to your home in an economical, efficient, and convenient way that is easy on your pocket and the environment. Come winter, there is nothing better than a nice wood fire to lend a cozy, nostalgic ambiance to your living room and get the family to gather together or share a romantic moment with someone special. Wood fireplace inserts give you all the benefits of a traditional masonry fireplace without the hassles of installation. 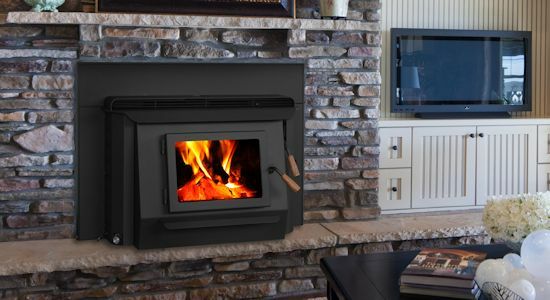 They are like a stove without legs that fits easily into your existing masonry fireplace and burns real logs. Real Fire – A wood fireplace gives you the sight of a traditional wood fire, with its dancing flames, crackling sounds, and the heavenly smell of burning wood. 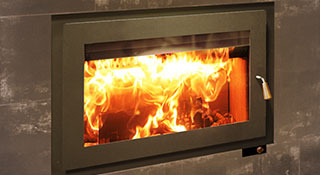 A real wood fire delights the senses and has a certain magic about it that a gas or electric fire cannot match. Inexpensive – Wood is cheaper than using gas or electricity as a fuel, and you have total control over how much you use. 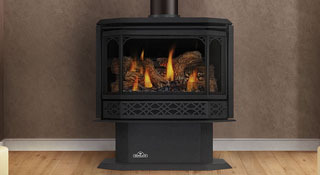 Increased Efficiency -While traditional wood fireplaces can be energy inefficient as a lot of heat is wasted with the smoke that goes up the chimney, wood fireplace inserts are much more efficient at retaining heat. Models come with an efficiency rating of 60% to 80% by the U.S. Environmental Protection Agency. Better for the Environment – Traditional wood fireplaces can give out fumes and release micro-particles that are not good for your health or the environment. 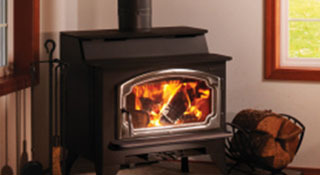 Wood fireplace inserts reduce emissions by up to 90% as compared to traditional fireplaces. Nick’s Fireplace Outfitters has a great selection of wood fireplace inserts to complement your home. Come by the store in Pocatello to see our great selection or call 208.232.2240. © 2019 Nick's Fireplace Outfitters. All Rights Reserved.